Maritime Administrator Mark H. Buzby welcomed female cadets from the seven U.S. maritime academies to the 10th annual Women on the Water Conference, held November 1-3 in Castine, Maine. 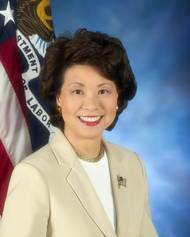 The conference, sponsored by the Maine Maritime Academy (MMA) in partnership with the U.S. Department of Transportation’s Maritime Administration (MARAD), showcases the successes of women in the maritime industry.“The demand for a highly trained mariner workforce increases daily,” said Administrator Buzby. 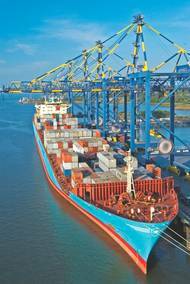 The Port of New Orleans (Port NOLA) has been awarded a $2.5 million U.S. Maritime Administration (MARAD) grant to support the current container-on-barge shuttle service operated by SEACOR AMH between New Orleans, Baton Rouge and Memphis, and to launch a new container-on-barge shuttle service on the Inner Harbor Navigation Canal (IHNC) in New Orleans.The grant will be used to purchase marine terminal handling equipment for efficient loading and unloading of container-on-barge operations in New Orleans. U.S. Senator Roger Wicker, R-Miss., yesterday attending a hearing of the Subcommittee on Surface Transportation and Merchant Marine Infrastructure, Safety, and Security to consider U.S. maritime policy, asked Mark H. Buzby, the current administrator of the Maritime Administration, to comment on the backlog of project funding requests for the nation’s ports.Wicker said that despite the importance of ports to national security and the nation’s economy, there are no dedicated programs for port infrastructure. Rear Adm. Mark H. Buzby, commander, Military Sealift Command, recognized 82 MSC military and civilian employees with commendations for their role in refitting USS Ponce (AFSB(I)-15) during a ceremony yesterday on Naval Station Norfolk, Va. Ponce, formerly an amphibious transport dock ship, was refitted by MSC in approximately five months as an interim Afloat Forward Staging Base and deployed June 1 to U.S. Central Command. Adm. John C. Harvey, Jr., commander, U.S. Fleet Forces Command, and Rear Adm. David M.
Military Sealift Command hospital ship USNS Comfort's Medical Treatment Facility changed leadership May 25 as Navy Capt. 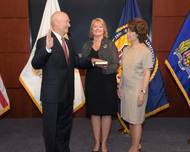 Kevin J. Knoop assumed command from Navy Capt. David K. Weiss during a ceremony aboard Comfort at Canton Pier in Baltimore. Comfort's primary mission is to serve as an afloat, mobile, acute-surgical medical facility to the U.S. military, with a secondary mission of providing hospital services for disaster relief and humanitarian operations worldwide. Comfort's Medical Treatment Facility, or MTF, is crewed and maintained by medical personnel from the U.S. The U.S. Navy's Military Sealift Command today announced an organization re-alignment designed to increase efficiency while maintaining effectiveness. MSC is implementing the plan to realign three core aspects of the Washington, D.C.,-based command's shore side operations: the roles of three of the command's Senior Executive Service personnel, the number and structure of programs that conduct the command's seagoing missions, and the reporting structure of several field activities. USNS Medgar Evers, the newest ship in the U.S. Navy's Lewis and Clark-class of dry cargo/ammunition ships operated by Military Sealift Command, was christened Nov. 12 during a morning ceremony at the General Dynamics NASSCO shipyard in San Diego. 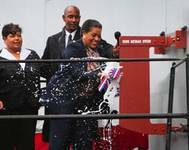 With the traditional words, "I christen you USNS Medgar Evers," Myrlie Evers-Williams, the widow of the ship's namesake, broke the traditional bottle of champagne against the bow of the ship. Evers was launched Oct. 29 and is scheduled for delivery to MSC in spring 2012. USNS Spearhead, the first of the Navy's joint high-speed vessels designed for rapid intra-theater transport of troops and military equipment, was christened Sept. 17 during a ceremony at Austal USA in Mobile, Ala. Military Sealift Command will own and operate Spearhead and the other joint high-speed vessels, or JHSVs, that are under contract to be built for the Navy. Spearhead will be crewed by 22 civil service mariners working for MSC who will operate, navigate and maintain the ship. 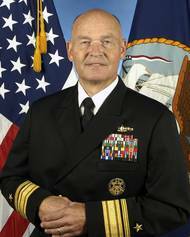 Rear Adm. Mark H. Buzby became the 25th commander of the U.S. Navy's Military Sealift Command. 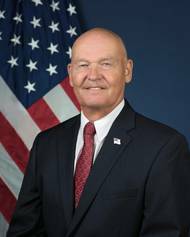 The global command, headquartered in Washington, D.C., is the ocean transportation provider for the Department of Defense - responsible for the operation of more than 110 civilian-crewed, noncombatant ships, which support military and humanitarian missions worldwide. Buzby, a 30-year Navy veteran, assumed command during a ceremony aboard Navy hospital ship USNS Comfort in Baltimore.